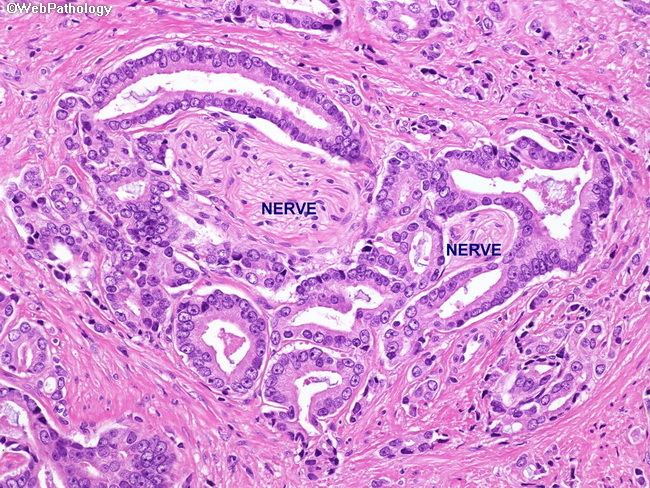 A cluster of malignant glands surrounds two nerve twigs. The role of perineural invasion as a prognostic indicator is controversial. There is conflicting data regarding it's utility as a predictor of progression after surgery or radiation therapy. Since some clinicians use it in their treatment decisions, pathologists should document it's presence in pathology reports.